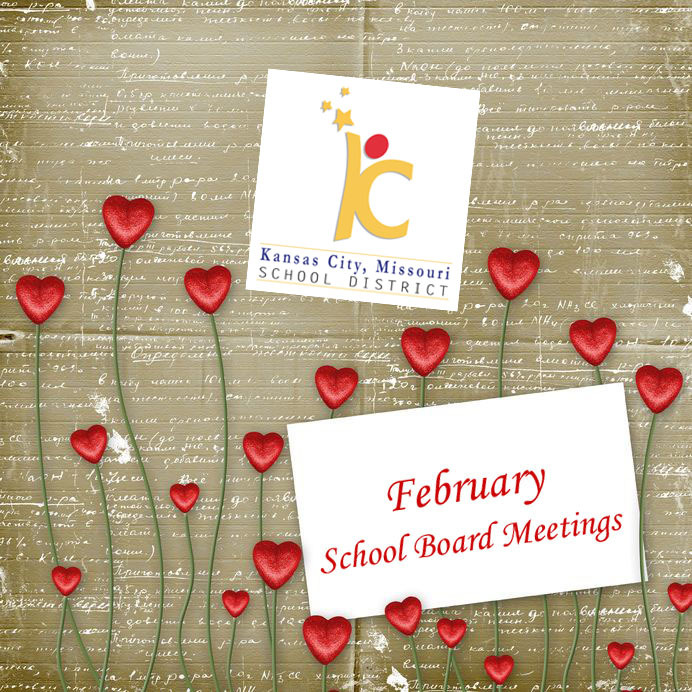 The Kansas City, Missouri School District’s Board of Education will meet Wednesday, Feb. 22, at 6:30 p.m. In addition to routine items on the agenda, such as paying bills and placing money aside for repairing broken cafeteria equipment, board members will focus on revising district policies. Policies under review during tomorrow’s meeting include one increasing the amount of money the superintendent can spend without board approval, one revising harassment and discrimination complaint procedures and one regulating the use of surveillance cameras on school buses. The board meeting, which is open to the public, will take place in Suite 1009; 1211 McGee St.; Kansas City, MO 64106.